Cajuca Mas Arts Producers (CMAP) have a long and successful history in not only Toronto Carnival, but in Carnivals around the world. Our mandate is to preserve, showcase and present the finer arts of MAS (Masquerade) Costumes and the Caribbean folklore. To educate and entertain the public on the origins of Carnival arts. 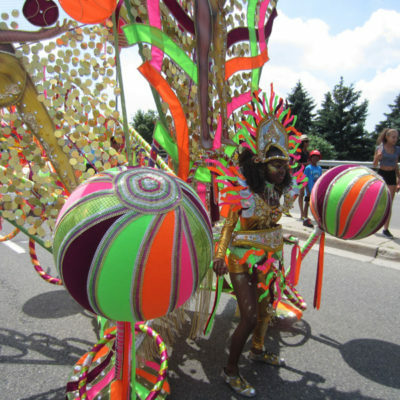 Since 1990, this team has worked together producing costumes and designs for Toronto Carnival (previously Caribana) in a number of capacities. CMAP were the winners of the 2011 Ontario Science Centre Design Innovation Award, and have won many in the many competitions associated with the festival.